How to backup Candy Crush progress on iPhone? Losing your Candy Crush Saga game progress is no fun. How many jelly beans, lemon drops and lollipops did you move around before reaching the Crunchy Castle in World Three? Let us show you how to backup Candy Crush from your iPhone along with game progress and how to transfer it to another iOS device! 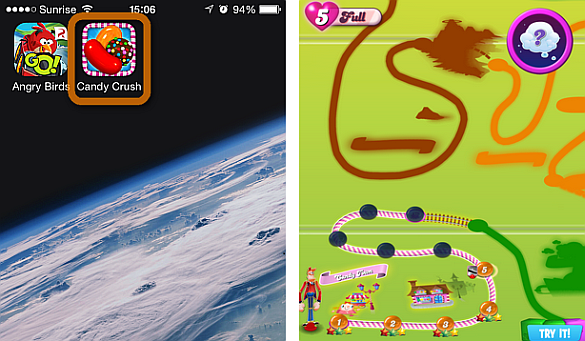 You can always transfer Candy Crush along with your game progress to another iOS device or even to the same iPhone. 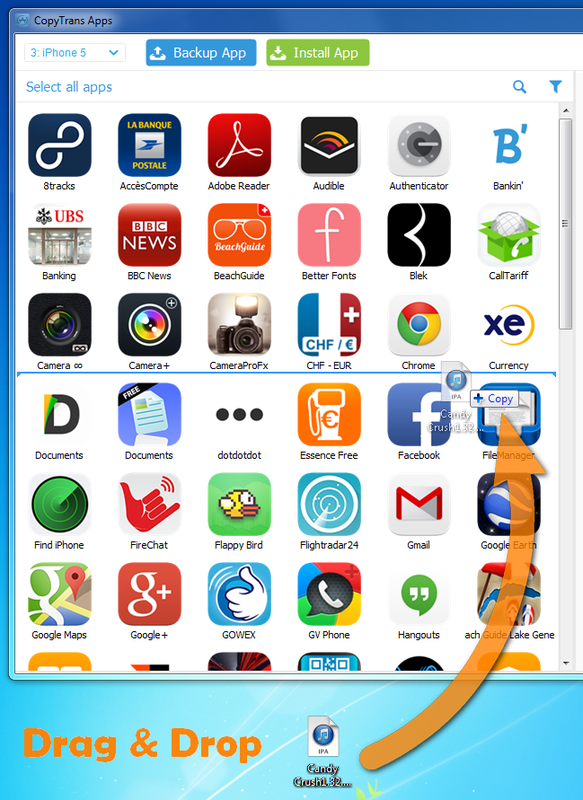 Just run CopyTrans Apps again and connect the other iPhone, iPad or iPod Touch. 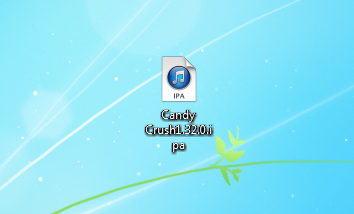 Then, simply drag and drop the Candy Crush IPA backup file from the PC to the open CopyTrans Apps window. 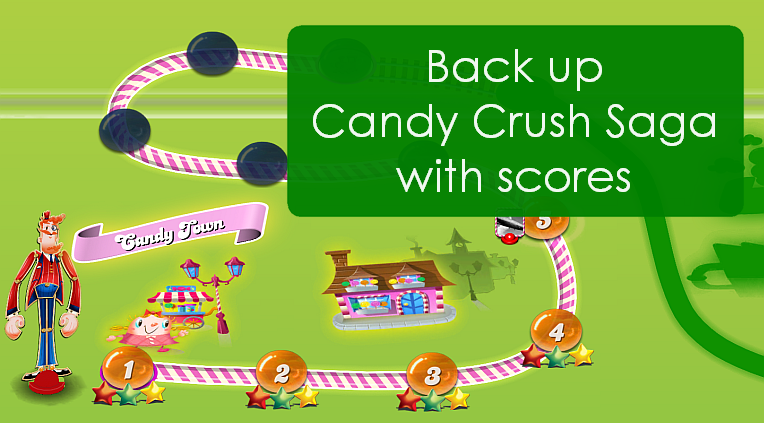 Candy Crush Saga along with your game progress is transferred to the other iPhone. 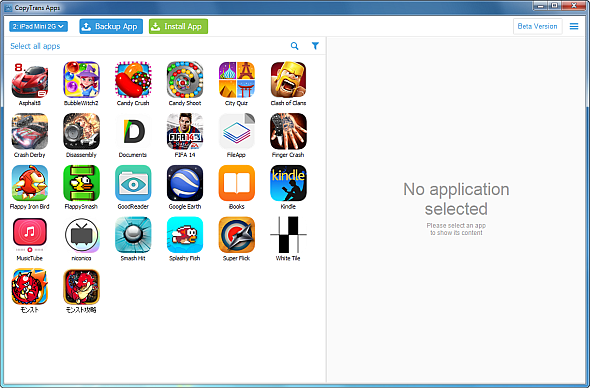 Tip: The same method works to back up and transfer other iPhone games and their scores too. Note: An alternative method to conserve Candy Crush game progress is to sign in to Facebook. 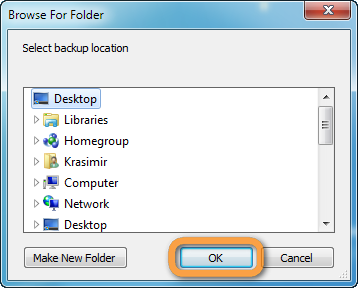 The above backup method does not require you to do so. 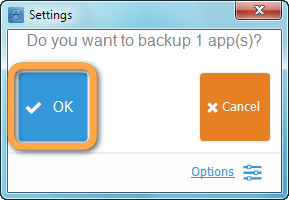 This is how easy it is to backup Candy Crush Saga to PC and transfer the game and its progress to another iPhone. Enjoy!